If you organise walks for your pets, you are almost certainly a dog owner. 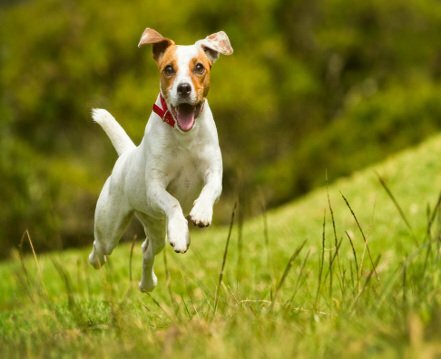 Dogs may be more or less independent depending on their personality, but require regular walks for their well being. The petsitter can come and walk your dog as many times as required. What does dog walking involve? When you compare with visits, providing walks is not so different as its main objective is the same : to ensure your pet’s well-being. However as walks are mainly aimed a tour canine friends, each case will be slightly different depending on the particular requirements of the dog concerned. As for any animal, the pet sitter will need to make sure your pet has sufficient to eat and drink, each time they visit. In order not to upset its usual routine, you should specify the daily amounts as well as the frequency of meals for your pet. Unlike other animals, dogs usually do their business outdoors. So the sitter will be responsible for ensuring, each time they visit, that the dog is able to go out for this purpose. Ideally, as the owner, you should specify for the sitter the usual times your pet goes out as well as the duration: 30 minutes in the morning, 15 minutes at lunchtime, 30 minutes in the evening etc. Depending on the breed and age of your pet, it will need more or less exercise, in order to avoid having too much energy left over at the end of the day. If this is necessary the pet sitter should make sure that your pet gets the exercise it needs, in order to stretch its legs and release all its energy. As the sitter will be visiting up to several times a day, they will be able to keep an eye on your pet’s health. If, for example, your pet i in receipt of medical treatment, the sitter will be able to administer any prescribed medication. What’s more, if your pet develops any health problems while you’re away, the sitter will be in a position to take it to the vet so that it get seen. Should I arrange walks for my pet ? As explained previously, walks are mainly aimed at dogs so the tasks carried out will not be the same as for a straightforward visit. Nevertheless, it’s important to be sure that ‘walks’ is the best service for your pet. If your dog is used to your absence and struggles to cope with a change of surroundings, then arranging walks makes perfect sense. If your pet needs a lot more company, you should consider arranging pet sitting in your home as long as the sitter agrees.